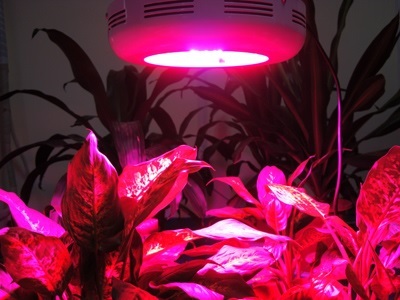 LED grow lights are renowned for their efficiency and great PAR spectrum (Photosynthetic Active Radiation), which is the light spectrum that plants use for growth. 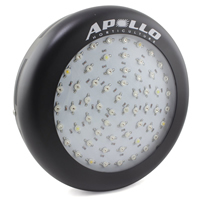 They’re often cheaper in the long run compared to other grow lights. 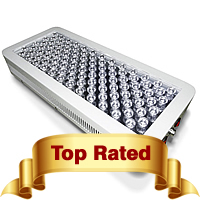 In the chart below are 10 of the best LED grow lights based on their efficiency, value for money and customer ratings. Dimensions 10.75" (diameter) x 2.75" 19" x 9" x 3" 6.2" x 5.1" x 4.9" 10.5" diameter 13.2" x 13.2" x 3.75"
Dimensions 10.5" diameter 6.89" (diameter) x 2.36" 15.8" x 2.4" x 8.4" 15.7" x 2.4" x 8.3" 15.75" x 8.20" x 2.5"
Our User Rating – Our own opinion based on our product research on our own and other user’s testing and feedback. Click on one of the featured products and you’ll be brought to Amazon’s product page, where you’ll find genuine customer reviews which we recommend you to read. If you know little to nothing about about LED grow lights, I recommend that you read this article here. 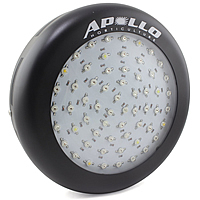 Also, here are some tips and information on LEDs. LEDs are typically more efficient than other forms of grow lights, therefore, energy consumption is less which saves you money on your electricity bills. The reduction in the amount of produced heat also provides you with big savings. It’s not unusual to see plants complete their growth earlier yet provide you with a larger yield. 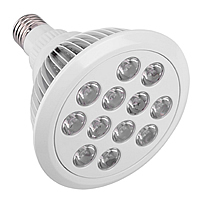 Construction and design of LED grow lights are more flexible because each LED bulb (light emitting diode) has a different spectrum. 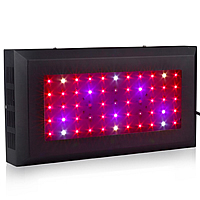 All LED grow lights should have at least one cooling fan or a cooling mechanism to reduce heat. 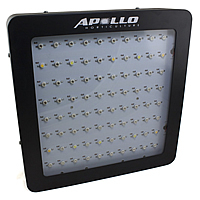 An LED grow light can be suitable for any and all stages of plant growth, especially models with a wide PAR spectrum. 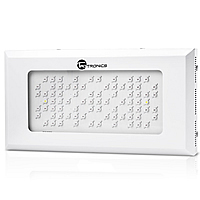 For an LED to be powerful and efficient, each bulb needs to be at least 2 or 3 watts, with 3 being the recommended wattage output. 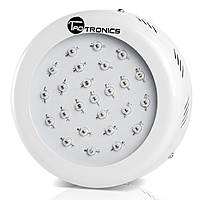 They can be used exclusively to grow your plants or as a support light in conjunction with your other grow lights. 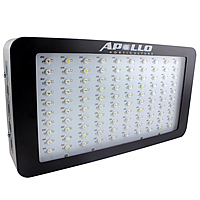 Make sure that you choose an LED grow light produced by a reputable brand because those manufacturers test their LED bulbs vigorously to ensure that they are reliable and will last as long as their stated lifespan. Avoid buying generic brands with no iron-clad warranty as it’s common for their LEDs to blow out in a fairly short space of time. 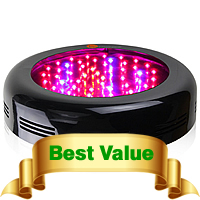 The LED grow lights in the table above are all from reputable brands who have extensive experience in research, design and manufacturing LEDs. Their high ratings and positive customer feedback speaks for themselves. The only question is which model is suitable for you? That depends on how many plants you’re growing and whether you’re using it as a support grow light or exclusive grow light.